The Tasmanian wilderness is on fire; massive areas are being decimated including some of the most important UNESCO World Heritage areas in the world. Half a million acres have burnt covering iconic glaciated alpine heathlands along with the surrounding ancient Gondwanaland remnant forest. Fires are burning around the iconic Federation Peakand and Mt Anne. Unlike the eucalyptus forests of the drier Australian mainland, these long lived ancient areas never evolved to cope with regular bushfires. Once burned, they simply die, the change is absolute. Tasmania is one of a handful of botanically isolated places; two-thirds of the plant species on the high plateau in Tasmania exist nowhere else on earth. Cut off from the rest of the world these landscapes have remained relatively unchanged though many millennia of background climate cycles, an evolutionary ark from a distant past. Yet now we see 1,000-year-old trees turning to ash and ice age era peat bogs drying out and burning. 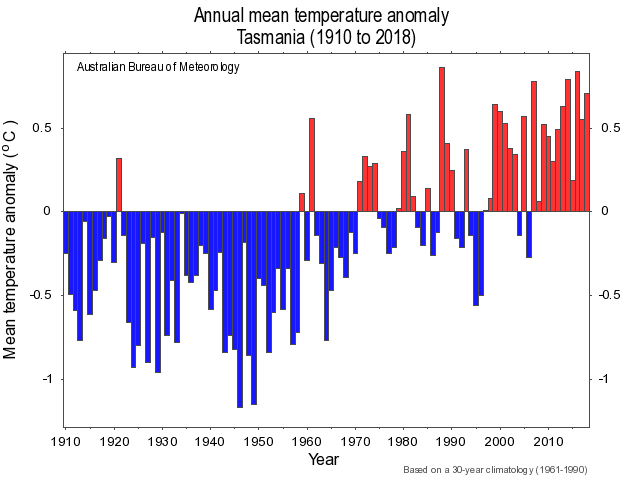 The climate in Tasmania is changing, and it’s changing much faster than we had expected. The waters around Tasmania are warming at two to three times the global rate such that we now see tropical fish migrating down the east coast of Tasmania. Human inaction on climate change inducing CO2 emissions has almost certainly locked in a further 20% drop in rainfall with a 30% increase in evaporation for these areas in central and western Tasmania by the end of this century. They will simply dry out and cease to exist as we know them; gondwanaland lost. When will the world start to take the climate crisis seriously? A shot I took in 2016 of the dolerite cliffs on the south end of the Guardian Massif (1394m, 4573 ft) that form an impressive escarpment about 1.5km long. 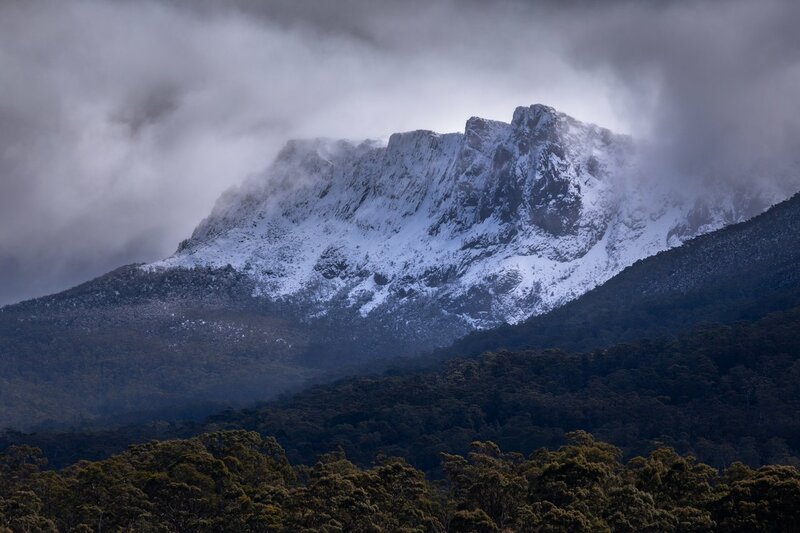 The Guardians are in the Du Cane Range, Lake St Clair National Park, Tasmanian Wilderness World Heritage Area, Tasmania, Australia. Check out https://www.instagram.com/paraviontas/ if you want to see some devastating aerial pictures of the destruction going on down there at the moment. Isn't Tasmania close to where the gap in the ozone layer is. I remember a while back the cricketers using extra sunscreen because of this.It is terrible what is happening and turning a blind eye for greed is just not right. It was yes; but that has mostly closed up due to successful global treaty and action. Which is something positive to reflect on. Didn't know about the ozone layer closing up and need to read up on it. That is definitely a positive with everything else going on. It is not fully closed but it is healing. The hole was over Antarctica; but it was thinner over southern Australia and NZ. I recently found out that the language was changed by the UN. Now all official documents need to call it "climate change" and not "global warming." 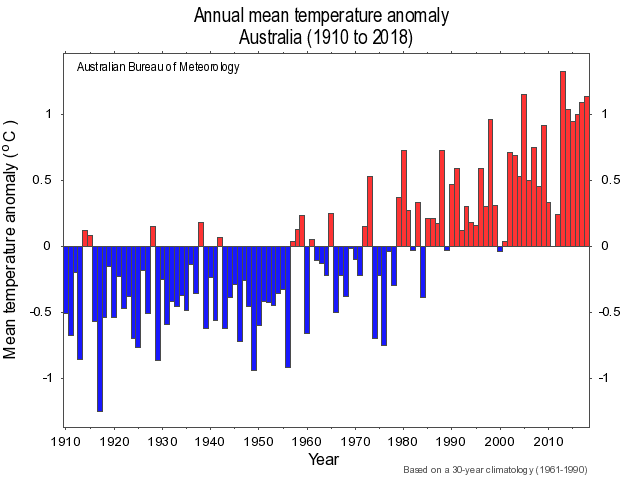 The stated reason for this was that temperatures have been falling worldwide for the last few years. Do you have current temperature info for this location? It would be interesting to know if the temps there are still going up while the trend is now down. I did take a look at your insty feed. It's a shame to see those fires. I think you get them up in bc too though. @keithboone is there and told me they were bad last season. I challenge anyone to find any evidence that the "trend is down" using real verified data; just people on the web spreading misinformation. Climate Change has been used as a term since the 70's (journal of Climate Change was created in 1977 and still publishes today). Climate change is a result of Global Warming; the terms mean different things and are both still widely used (see info here on this use and history of the terms https://www.skepticalscience.com/climate-change-global-warming.htm if your interested). I'm not searching this topic on the internet but just ran across this topic a few months ago as I said. What I saw was a news article from somewhere, stating the UN had changed their language for this reason of the recent temp decrease of the last few years. It was linking to a UN pdf announcing the change, which I went and looked at when I saw the link. Indeed they did announce the change in language. Quickly looking today, I do not see the pdf now, but they are no longer using the term "global warming" on the UN site. I'm sorry, but I did not save this at the time. I do not know about your other sites, but I stopped believing in anything nasa when I saw this photo of the construction paper, mylar, and sheet metal art project able to withstand 400 degree temperature swings and not even being sealed against dust. I'm pretty sure we are all being played, and who know what the real truth is? My area of interest is weight loss and clean food. When I found out all the government lies in that area, it has made me very skeptical of anything else. I understand the skepticism with respect to US food policy. The US has gone down a frightening food path. As for the lunar landing module; there is no atmosphere on the moon so there is no wind or dust. Also gravity is 83.3% less so you only weigh 1/5 what you do on earth. So it is not required to be structual as you might expect as its launched in space much like a satellite and never passes though the earths atmosphere. Ten lunar modules were launched into space. Its main purpose is to reflect solar radiation as the moon is outside the earths protective magnetosphere. Not that this is actually the "moon," but still. If you choose to believe that this was possible with tiny computers 50 years ago but never again since, NASA has well earned your tax dollars. So 400,000 people who worked on the Apollo project for nearly ten years kept quiet ? That would be some well contained conspiracy. It's not hard to get to the moon; its just expensive and dangerous for humans and we have a different view on risk to human life then we did in the post war years of the space race. Chinese landed a rover there just a couple of weeks ago. There is lots of third party evidence that is non NASA related. I am not American so have never paid tax dollars to NASA. The next time you go out and shoot, strap your manual camera to your chest, wear a motorcycle helmet and gloves and see how many good shots you get. I'm startled you believe that film and batteries can operate at all in the stated temperatures, much less with amateur cameramen. There are videos of the camera manufacturer stating the cameras could not operate under those conditions. Yet, there are something like 40K in perfect shots from all of the supposed trips. How would you even change the film with gloves on? The Apollo astronauts used high-resolution Hasselblad 500 EL cameras with Carl Zeiss optics and a 70 mm medium format film magazine. At a standard 4,000dpi scan you get 84 megapixels out of medium format film which is why a lot of landscape photographers still use it. The photos are in keeping with that especially considering there is no distortion from an atmosphere. Not all 40k pictures are sharp; there are lots of out of focus ones if you look at the archives. The don't release all the photos initially for the same reason I don't put blurry photos up on my website. Shielded cameras are used on every space expedition in history it is simple technology. There is no atmosphere so you can shield from those temperatures with simple reflectors (even aluminum foil would work) . It is not like that heat would be on earth where you have convective heat from hot gases (ie air). Truely breathtaking with the snowy rocks! Your UA account score is currently 4.952 which ranks you at #1178 across all Steem accounts. Your rank has improved 14 places in the last three days (old rank 1192). In our last Algorithmic Curation Round, consisting of 247 contributions, your post is ranked at #77. Hello @intrepidphotos, thank you for sharing this creative work! We just stopped by to say that you've been upvoted by the @creativecrypto magazine. The Creative Crypto is all about art on the blockchain and learning from creatives like you. Looking forward to crossing paths again soon. Steem on!